Veterinarian since 2009. She works exclusively with pigs and has obtained a PhD on pig welfare. 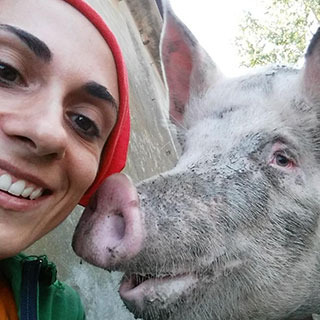 Associate Professor at the University of Padua, she fas participated in several research projects having to do with the pig sector, with special attention to welfare. She has published the results in several peer-revised scientific journals, and has also collaborated with other European universities. She is currently responsible for health and welfare matters for several Italian companies: both pig production companies and one of the main abattoirs.